In 2017, I was asked to design a small collection for Bauhaus museum shop in Dessau. The Elementary collection is inspired by Bauhaus, having primary colors and elementary shapes at its core. Since then, I have been selling my jewelry at Bauhaus Museum shop in Dessau and Tel Aviv. This small collection of earrings is my attempt to add more products and continue to grow the collection of minimalist, geometric, anti-ornamental jewelry. If you want to read more about the design process of this collection visit this “News” post. 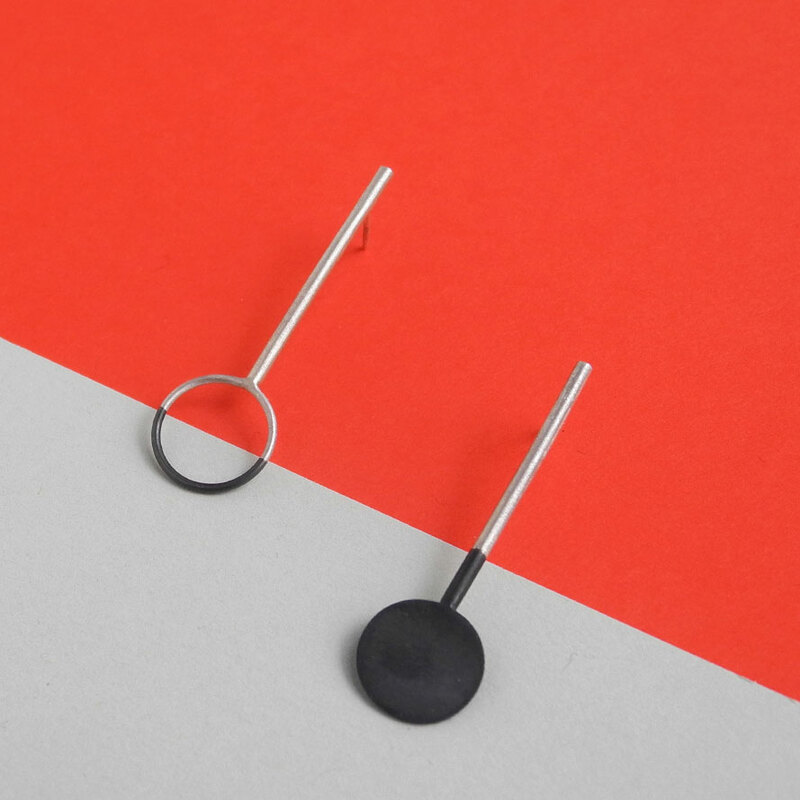 Each pair of earrings is handmade and partially oxidised by hand to create the two-tone silver look. By building a simple device, one can control the height of the oxidation.